Prior to this project, which is currently in its infancy, the Tijuana idol will hold a three-round exhibition fight with former champion Orlando 'Siri' Salido, on April 12 in Ciudad Obregón, Sonora, in an event where the profits will be used to help to a foundation that fights cancer in children. 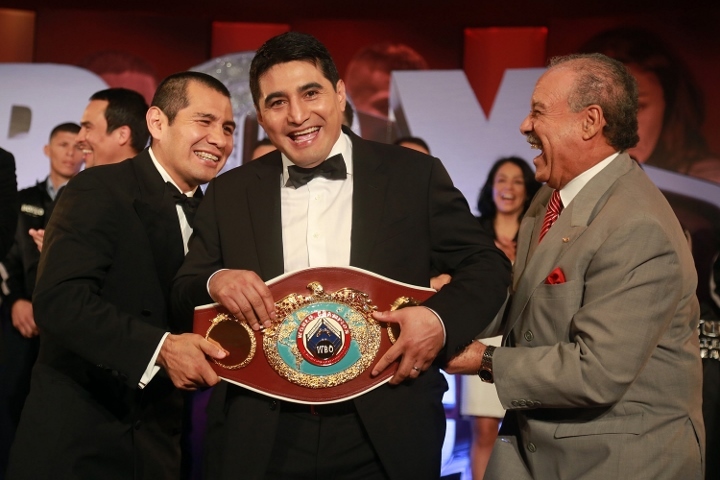 Morales (52-9, 36 KOs) has been away from the ring since October 2012. Morales won titles at super bantamweight, featherweight, super featherweight, and junior welterweight. Morales retired after suffering back to back defeats to Danny Garcia. At one point he entertained the idea of resuming his career, but it never happened. Martinez began his career at welterweight and captured world titles at junior middleweight and middleweight. He was pondering the possibility of a comeback in 2018, for a rematch with Julio Cesar Chavez Jr. - but claims Chavez Jr. withdrew from the planned bout. Martinez has continued to drop hints about a potential return to the ring. [QUOTE=TexasCowBoy;19615811]Yes , Segio vs Erik in a date and place to be determined but on April Erik and Salido will do an exhibition for the sick kids[/QUOTE] Ah my bad, sorry bro I hadnt heard of that happening with salido.